One of the best things about being a regional organization is having the opportunity to experience the richness and diversity of the communities we serve - in person! Last week we were able to connect with our Alaska community through a number of events in Anchorage. 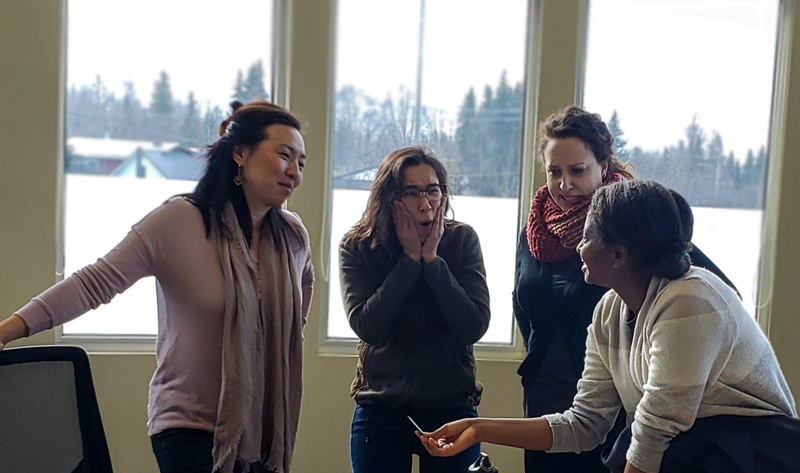 On March 26, we took one of our signature programs, Grantmaking with an Equity Lens (GEL) on the road for the first time. Participants examined their own readiness for change in their grantmaking processes, brainstormed and shared ideas with their peers. Also, Alex McKay, vice president of programs at Rasmuson Foundation spoke to participants about how their foundation worked to build equity into their practices. Momentum fellows experience an ah-ha moment. Next, we held the Momentum Fellows retreat on March 27 and 28. In the fifth retreat for our second cohort, fellows continued to examine their own leadership styles and attributes. They also heard from prominent leaders from Rasmuson Foundation and Bristol Bay Native Corporation Education Foundation and experienced a powerful session on power and privilege facilitated by First Alaskans Institute. Learn more about our Momentum Fellows program and current opportunities to either host a fellow or to apply as a fellow for the next cohort. 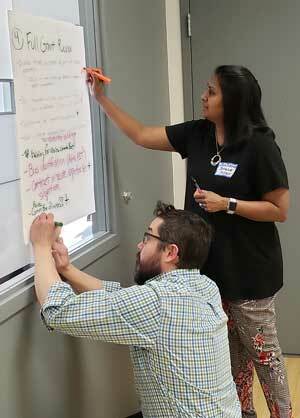 Finally, on March 28, the Alaska Funders Group held their first meeting of the year. These sessions bring together funders from across the state to network, share best practices and discuss the issues most pressing in their communities. Highlights of this meeting included Census 2020 activities, updates on recovery efforts in the wake of the recent earthquake and a discussion on the FY2020 Alaska budget with public policy expert Larry Persily. Special thanks to Alaska Community Foundation, The Foraker Group and Bristol Bay Native Corporation Education Foundation for serving as our gracious hosts for this month’s events in Alaska. And that was just March! We have more events on the horizon in April. Check out our current events calendar and register to attend whatever piques your interest. Nancy Sanabria serves as director of learning strategies at Philanthropy Northwest. Contact Nancy with questions or comments.